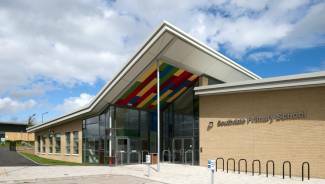 Ogilvie undertook the Construction of two new schools and associated sports facilities for Edinburgh City Council, servicing pupils with Medium Learning Difficulties and Social and Emotional Behavioural Difficulties. Both projects were carried out in 3 sections as part of a multi-site Contract. 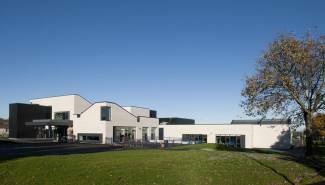 Ogilvie undertook the traditional construction of the £5.4m school in two sections while the existing school remained fully operational. Section 1 comprised the construction of the two storey school including administration facilities, sports centre, associated landscaping and playgrounds. Section 2 comprised the demolition of the existing school, associated landscaping and construction of all weather pitches. 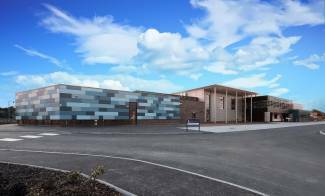 Ogilvie undertook the traditional construction of the £7m school in three sections while the exisiting school remained fully operational. Section 1: the construction of a 2 storey school inclusive of administration facilities, associated landscaping, car park, access road and playground facilities adjacent to the existing Currie High School. For the successful completion of Section 2, Ogilvie undertook the construction of a new sports hall built between two existing, fully functional school buildings. In Section 3 of the project, we carried out internal alterations to the existing sports changing area. The construction period took place within a live school urban environment, adjoining housing scheme and the presence of a burn running through the middle of the site. We developed a strong relationship with SEPA to ensure that we did not have a negative impact on the burn, constructing a retaining wall down the side of the burn. We are committed to ensuring that we leave our sites in better condition than when we started. For the construction of the retaining walls at the MLD School, we used materials which would allow moss to grow over the walls and fit in with the surrounding environment.